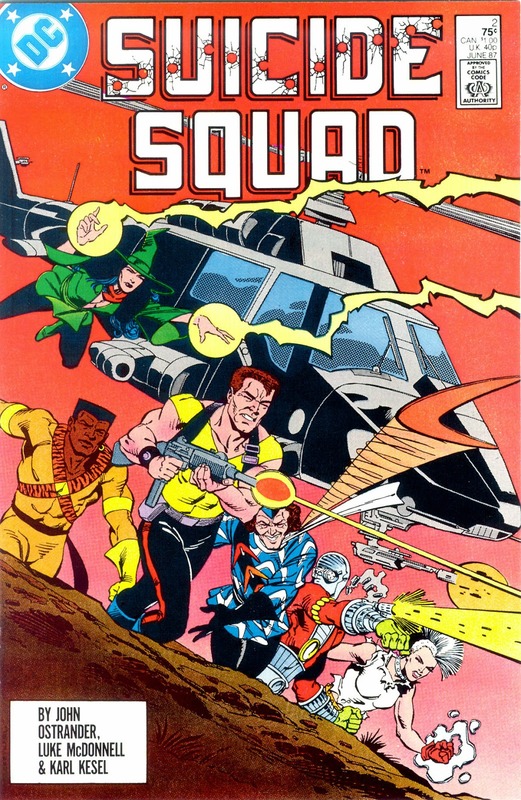 Task Force X: Episode 6 - Suicide Squad 2 - Trial By Fire! Episode 6 - Suicide Squad 2 - Trial By Fire! Hello again Squadmates... (yeah I think I'm going for Squadmates). Well here is the newest episode of Task Force X Episode 6: Suicide Squad 2 - Trial By Fire! This episode (as the title suggests) we review the second episode of Suicide Squad 2 - Trial By Fire! This issue we meet two new members of the team and as promised on last issue's cover, a member of the team DIES! Who? Either read the issue or listen to the Headcast and find out! Also this episode we have a Character Profile of Nemesis! Who is Nemesis? Again, listen to this episode and find out! Check it out and let em know that the Task Force X Headcast sent ya. Make sure to tell a friend and check back next month when we review Suicide Squad issue 3 and do a Character Profile on Captain Boomerang.